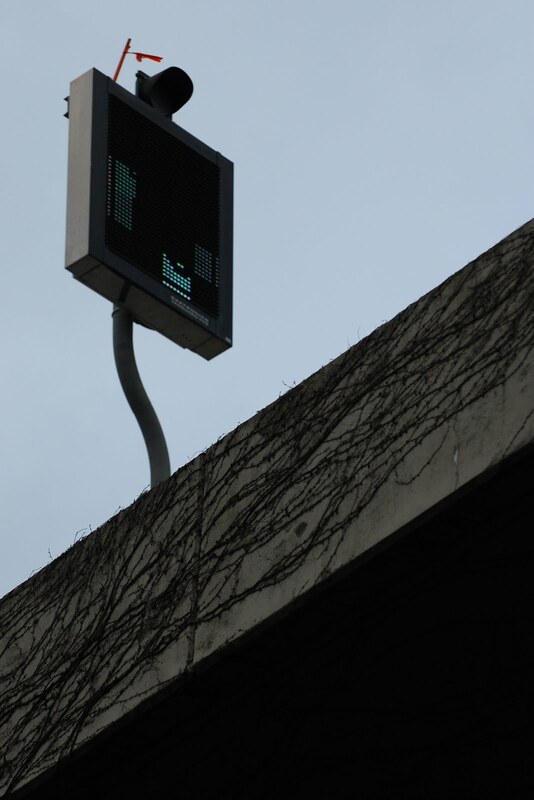 This variable speed limit reads 60mph, but a fast shutter (or a blink of your own eye) can catch it in a state where very little is shown. LED displays suffer from a terrible flicker if they are driven by inexpensive circuitry. Unlike elements on incandescent displays, a LED stops producing light the moment it is unpowered. Consequently, this sort of display shows these sort of ill effects if strobed at anything approaching a visible frequency. Sghr hr mns z bktd.